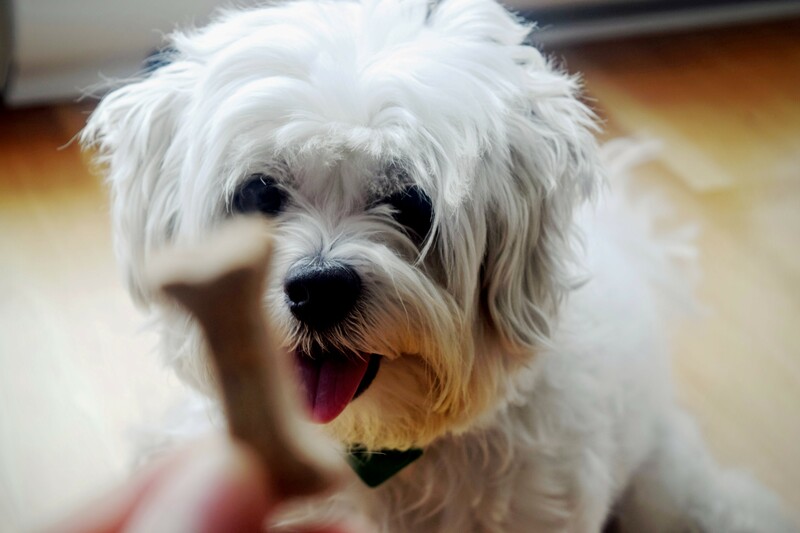 So you want to give your pet bones to help clean their teeth. After all it seems only natural right? So, why are many vets not so quick to recommend bones? The problem is we too often see the problems associated with feeding bones…. Fractured teeth– Dogs fed bones commonly fracture teeth when chewing on them. This causes pain and can result in infection and abscess formation. Bone fragments– can get caught in teeth/ jaws/mouth leading to pain, distress and infection if missed. Constipation– Eating excessive bone material can lead to constipation due to the large amounts of un-digestible matter. White, dry crumbly poos are not normal, healthy poos. Pancreatitis– Eating fat and marrow from bones can lead to pancreatitis which can be life threatening if severe. Bowel perforation/ obstruction – Bone splinters can pierce the gut lining and bone pieces (especially cooked) can obstruct the gut. These are incredibly serious conditions that require surgery and extended hospitalisation. Gastroenteritis– Raw bones left lying around in the yard can breed Salmonella, E Coli and other nasties. Sometimes just the large amount of fat can be enough to upset your dogs tummy. Parasites– Raw bones from non-human grade suppliers can be a source of intestinal parasites, such as tapeworms. SO WHY DO PEOPLE FEED THEM? Encourage chewing and gnawing which can aid in mechanically removing plaque and tartar from teeth. If you want to give your pet bones there are steps you can take to minimise the risks associated with them. RAW- Choose raw, meaty bones. NEVER cooked nor frozen as these are too hard and increase the risks. Choose the right size for your pet. We want them to gnaw on the bone not to swallow/ eat the bone. In general for dogs the bigger the better. For example, think whole raw meaty shin bones with knuckle ends attached. For cats a chicken wing disarticulated into the three segments can be appropriate. No cut surfaces- cut surfaces can expose marrow (fatty) and also make it more likely to catch and break teeth. Whole bones are safest. Always supervise and dispose of promptly once finished chewing down cartilage/ if animal has exposed marrow or removed pieces. Not too often- Think of bones as a high calorie treat with the same calorie content as a meal. Give no more than twice per week. Trim off any excess fat. Check with your vet if bones are suitable for your pet and if so what types are appropriate. Worm your pet regularly. Every three months for adult dogs and cats. WHAT ARE SAFER OPTIONS FOR KEEPING YOUR PETS TEETH CLEAN? Dental specific diets- Hills T/D and Royal Canin Dental are two brands we recommend. These are complete and balanced diets that have a special shape, texture and composition to help clean teeth. They are clinically proven to reduce gingivitis, plaque and tartar accumulation on teeth. Chew treats– E.g. Greenies is a chew treat that can help clean teeth. Chew toys– Kongs and Nylabones are some of the safest. Avoid tennis balls (abrasive), cheap plastic toys (can be chewed up and ingested causing obstruction). Do not let your dog chew sticks and rocks. Brushing- Daily brushing is the best way to keep teeth clean. This will remove plaque and thereby prevent tartar. This is especially important to prevent progression in pets with already established periodontal disease. Dental scale & polishes to remove tartar. We offer 20% off dentals in March and September to promote good dental health. FOR A FREE DENTAL CHECK OR TO RECEIVE 20% OFF ON DENTAL PROCEDURES.